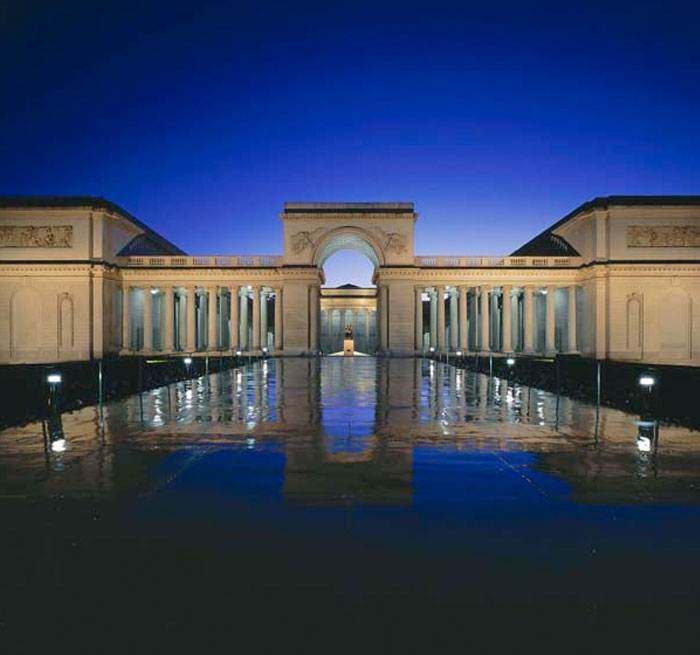 When the historic California Palace of the Legion of Honor in San Francisco, California reopened it had newly renovated and expanded galleries and public and administrative spaces. The renovation project added 35,000 square feet and included seismic strengthening, building systems upgrades and restoration of the building’s historic features. 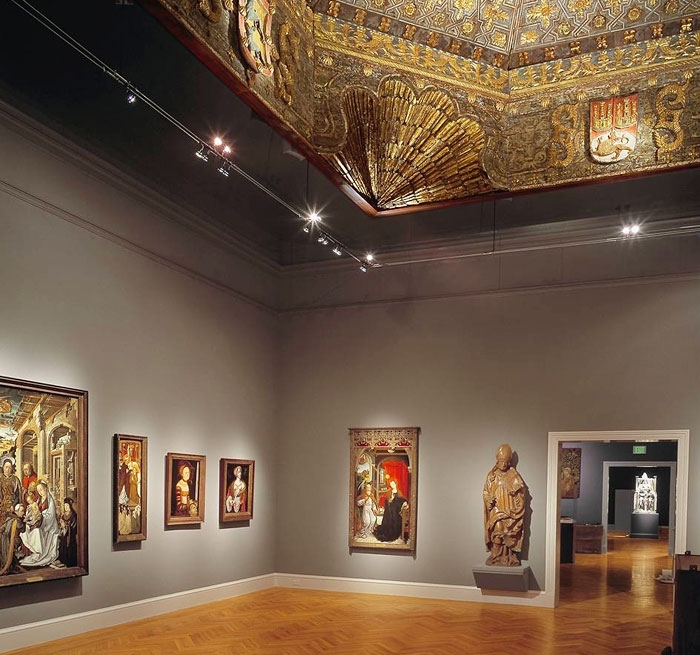 Working closely with the architects to incorporate the exacting requirements of the Fine Arts Museum staff, Auerbach Glasow provided the architectural lighting design for the project. The firm developed a clean, integrated aesthetic for this celebrated museum with new lighting provided for the new and renovated galleries, offices, café and exterior. One of the more apparent changes, and perhaps the first to be noticed, was the relighting of the exterior façade, colonnade and statuary. Rodin’s most celebrated sculpture, The Thinker, welcomes you to the entry courtyard and is now, for the first time, illuminated. Other special lighting treatments include a suspended, low voltage wire system designed for the unique lighting requirements of the suspended 15th century Spanish ceiling in one of the medieval galleries and creating a moonlighting effect through the olive trees on the new Garden Terrace. 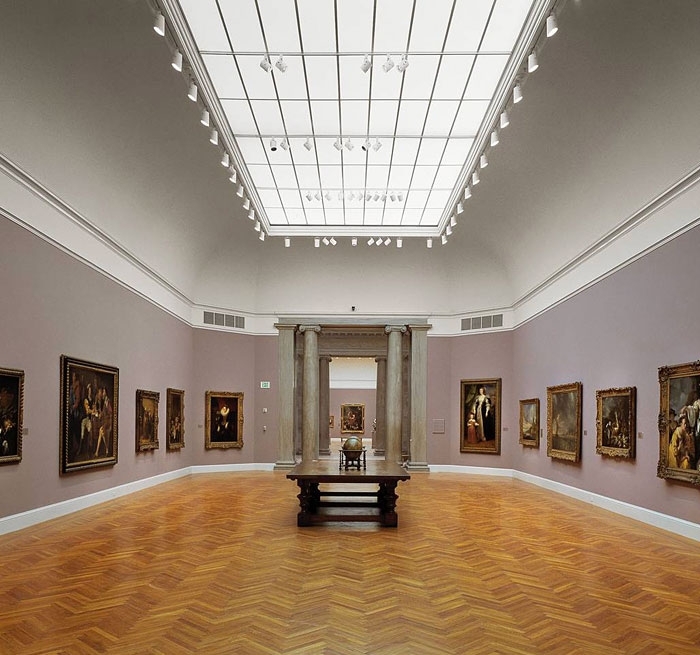 Programmable dimming systems were added for the new Rosekrans Court, café and renovated Rodin Gallery. 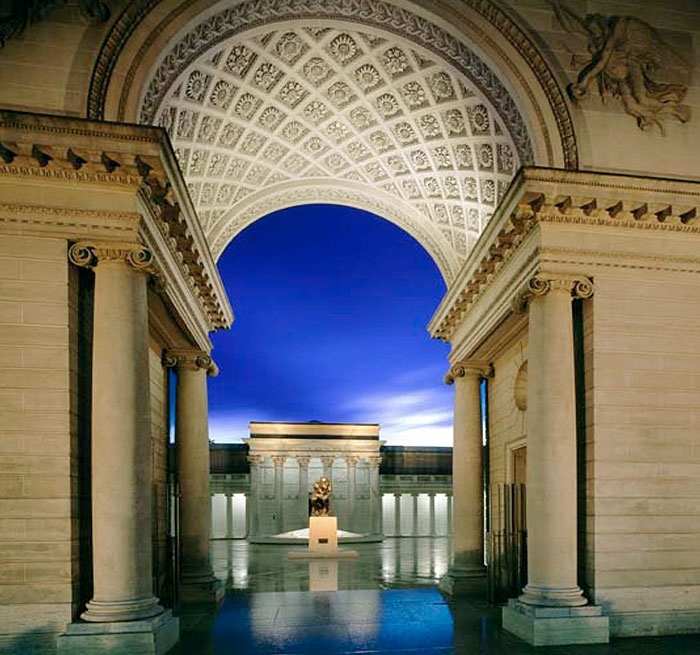 Originally opened on Armistice Day in 1924 on a site known as Land’s End, The Legion is a three-quarter-scale adaptation of the 18th century Palais de la Légion d’Honneur in Paris.